Do you enjoy the winter season? Some love living through the colder months, while others just cannot wait for it to be over. Renters may even have cause to enjoy winter more than homeowners do, as they don’t have to deal with snow blowing their driveways or having to prevent freezing pipes. When you own a home, the burden of caring for it falls upon you year-round. Winter is easily one of the toughest months for homeowners because they still have to take care of things. Even if it’s cold out or if they have a cough or the fatigue of December and January is becoming so energy-draining that you doubt if you even want to get out of bed, let alone shovel off your sidewalks. Today we’re talking all about how you can keep your home and your property in good shape during the winter. It can be tough, but if you have a general idea of what you need to do and how you can do it, you’ll be all set. Read on and find out more. Having good property maintenance is all about doing what you can to keep your home, lawn, and property looking just the way you want it and up to code. Some places require homeowners to shovel or snow blow their sidewalks and even if you weren’t required to do snow removal, you probably would have to do it anyway. 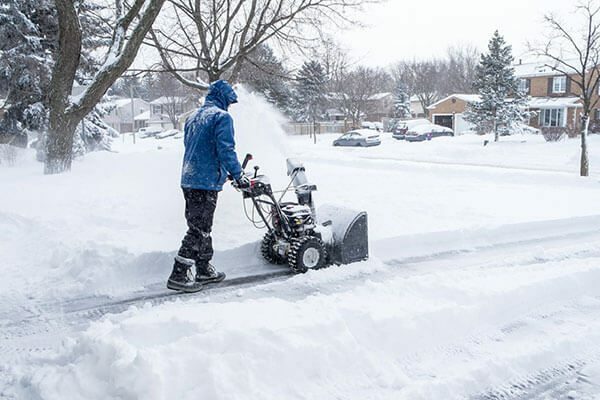 Unless you have a property maintenance service in GTA, it can be a bit of work, so be sure that you get any shoveling or snow blowing done early in the day so that you have the rest of the evening to relax. Make sure that you have proper shovels on hand at your home if you use them so that you are ready to go when you need to tackle snow removal. In fact, it’s a good idea to have certain items on hand because when the snow storms hit, you don’t want to drive in them to the home improvement store to pick them up. It’s too dangerous. Get items ahead of time. Get salt for the driveway if you need some traction and get a bag of kitty litter to stow in the back of your vehicle so that if you are driving and you hit some black ice you can lay down sand and kitty litter to provide traction for your tires. At the end of the day, good maintenance mostly involves staying on top of things and making sure that nothing is broken (or if it is, that it gets fixed). You can hire a property maintenance service in GTA to take care of snow accumulation if you need to. Keeping your property and home in shape is just about putting in the energy to make sure that your residence is in the best shape it can be. Maintenance and a good attitude about tackling projects early can go a long way. Don’t be afraid to research and get cold weather tasks done early so you can go into winter confident about your property and home and their ability to withstand the cold winter months.